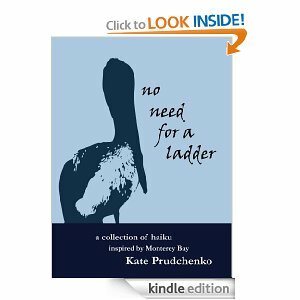 My new collection of poetry, No Need for a Ladder: A Collection of Haiku inspired by Monterey Bay , is now available on Amazon. Recently, I started to develop an interest in Japanese poetry (haiku, senryu, tanka, haibun). My first haiku was published in NeverEnding Story: English-Chinese Bilingual Haiku and Tanka. It is also the first piece of my writing that has ever been translated into another language. You can read it here. Oedipa Maas and the Absurd is published! The stranger in Mark Twain’s “The Man who Corrupted Hadleyburg” is motivated by the desire to expose supposedly honest people for who they truly are. The stranger appears to be someone who hates hypocrisy and no longer wants to tolerate the lie that Hadleyburg perpetuates. It has to be a lie because the citizens of Hadleyburg are human beings and like human beings everywhere they are capable of lies, deceit, and greed. While the stranger sets out and succeeds in corrupting the town, he does not do anything more than expose the citizens for who they secretly are and were all along. After all, the town’s solution to their reputation problem in the end of the story is not to address the underlying acts but rather to change their name and pretend nothing happened.